I was in Shinjuku with Tokashiki san to go to "80s, 90s Idol Izakaya (Japanese-style bar)". 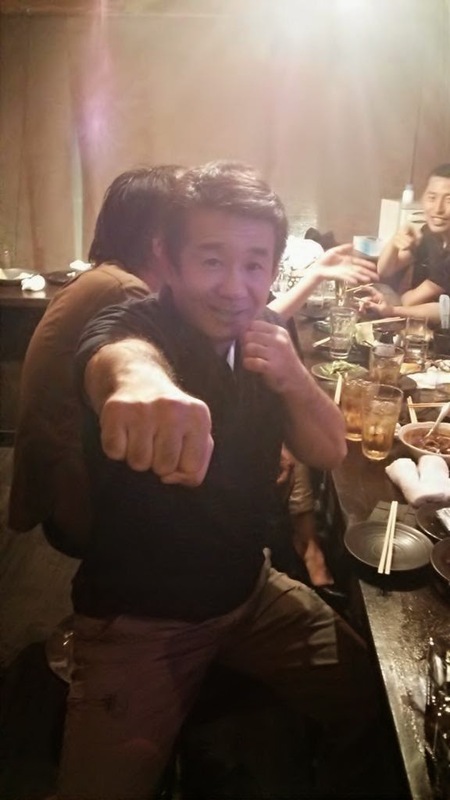 I don't know anybody who doesn't know Tokashiki, he was the famous boxing champion. He often calls me for drinks when he is in neighbor. I am very appreciate to hang out with great person. There is a reason for it… I was not allowed to watch only Enka when I was little. Don't know any idols, but I am an expert for Enka singers!